ETC FusionHD™ makes it easy to capture the data of Gaumard®, Laerdal™, Simulaids, and CAE™ manikins live, in real-time, without the need to import files after. ETC Fusion HD™ is a web-based recorder with live video streaming and instantaneous debriefing from anywhere. 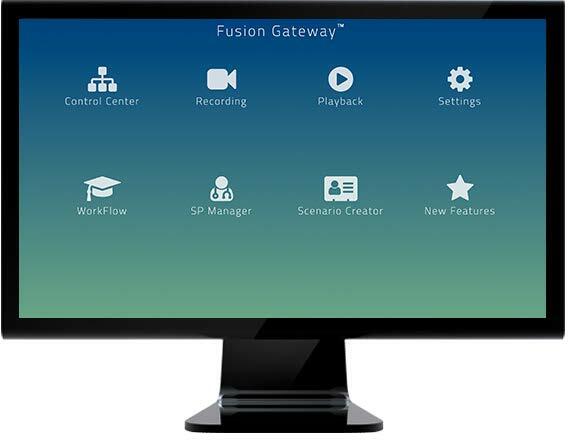 The newly redesigned ETC FusionHD™ interface is easy to manage and navigate. Collapsible menus and expandable video inputs make the interface customizable to user preferences. The redesigned file library allows for easy navigation through saved videos. ETC FusionHD™ records in high-definition, resulting in crisp images for detailed video debriefing. ETC FusionHD™ creates a more valuable simulation experience by fusing audio and video with data generated from other simulation devices, creating a context of patient care.